BMW's South Korean unit is set to launch a recall of 106,317 cars Monday after a recent series of engine fires. The carmaker said last month it will recall 42 different models after making emergency safety checks on all models with an exhaust gas recirculation (EGR) component, which the company blamed for the recent fires. The company is putting efforts into securing the parts from its German headquarters, with a plan to complete the recall this year, according to industry sources. On Wednesday, a BMW X1 subcompact sport utility vehicle caught fire in Imsil, 300 kilometers southwest of Seoul, raising to 40 the number of fires in BMW vehicles this year. 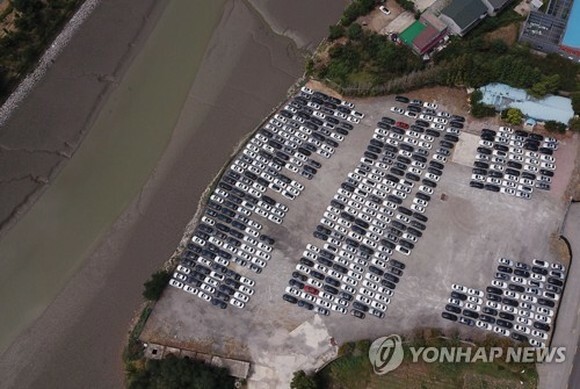 The car was not subject to the German carmaker's planned recall in South Korea, fueling local consumers' concerns over its vehicles. Last week, South Korea issued an order to suspend the operation of all BMW cars that have not received safety inspections. Source from the Yonhap.